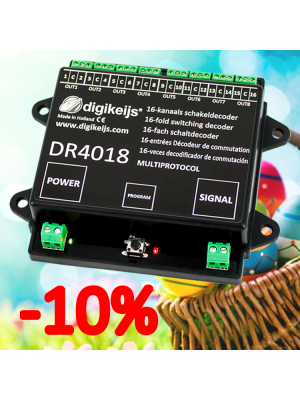 4 kanaals multiprotocol servo decoder met 4 extra schakel uitgangen. 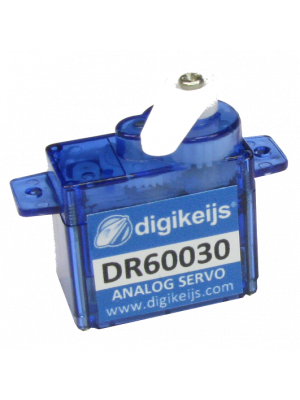 The DIGISERVO decoder is a fully programmable servo decoder. 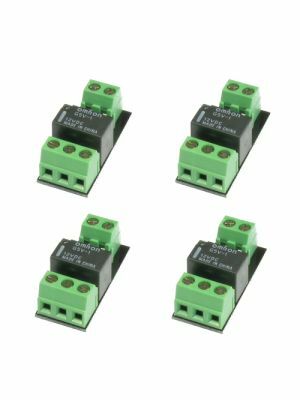 Each output also has an extra switching output to switch eg a light or decoupling track. 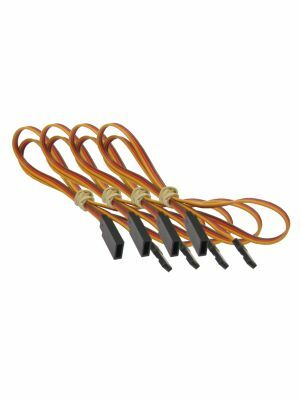 Every output can also be calibrated with software which makes fitting servos a lot easier because they are set up after installation. 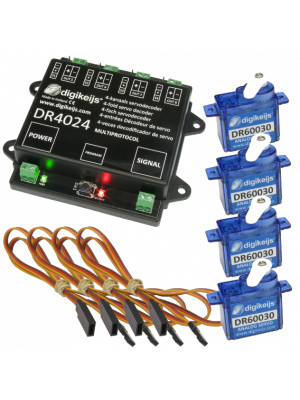 The DIGISERVO decoder is the first servo decoder to work on the basis of function mapping. The decoder sees the ‘switching addresses’ as control functions for the various outputs. Depending on the mapping that has been set up, the decoder can use from 1 to 8 ‘switching addresses’.